The Swedish Youtube star PewDiePie just released his own 2D platformer game and it's epic. In Legend of Brofist you try to unlock all the Stars, and collect BROCOINS to purchase new CHARACTERS, ATTACKS and DEFENSES! If you're a fan of the guy then grab the game now, fight powerful bosses, challenge your friends for bragging rights, collect ingame secrets, and just have a blast! More features can be found on Google Play! 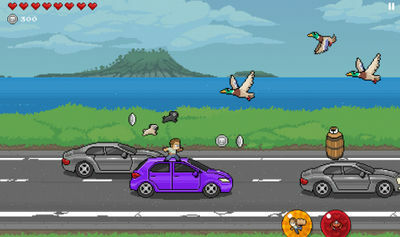 The full version of PewDiePie Legend of Brofist Apk v1.4.0 can be downloaded for free from the link on this page. We also have a Hack version with unlimited money and unlocked stuff. Choose the one you want, install it and have fun! -Minor stability and performance improvements. PewDiePie Legend of Brofist 1.4.0 APK (b31) - No Mod in this release guys! Install apk, Copy data folder to SDCard/Android/obb/, and Play.